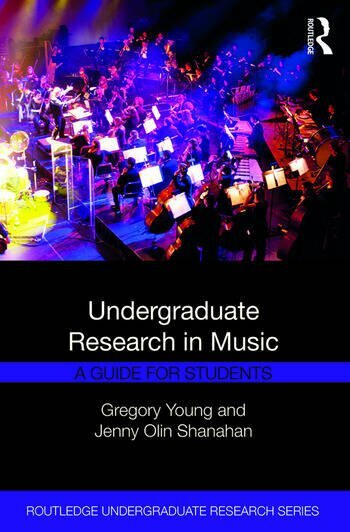 Undergraduate Research in Music: A Guide for Students supplies tools for scaffolding research skills, with examples of undergraduate research activities and case studies on projects in the various areas of music study. Undergraduate research has become a common degree requirement in some disciplines and is growing rapidly. Many undergraduate activities in music have components that could be combined into compelling undergraduate research projects, either in the required curriculum, as part of existing courses, or in capstone courses centered on undergraduate research. The book begins with an overview chapter, followed by the seven chapters on research skills, including literature reviews, choosing topics, formulating questions, citing sources, disseminating results, and working with data and human subjects. A wide variety of musical subdisciplines follow in Chapters 9–18, with sample project ideas from each, as well as undergraduate research conference abstracts. The final chapter is an annotated guide to online resources that students can access and readily operate. Each chapter opens with inspiring quotations, and wraps up with applicable discussion questions. Professors and students can use Undergraduate Research in Music: A Guide for Students as a text or a reference book in any course that has a significant opportunity for the creation of knowledge or art, within the discipline of music or in connecting music with other disciplines. Gregory Young is Professor of Music at Montana State University and has held ongoing posts in conferences in undergraduate research and in curriculum development. Jenny Olin Shanahan is Director of Undergraduate Research at Bridgewater State University, with leadership positions in the Council for Undergraduate Research.